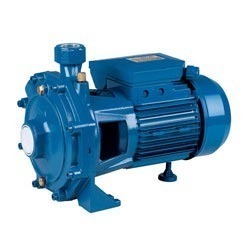 Our company is a pioneer organization in industry known to offer Electric Water Pump. Offered product is easy to use and is generally used to pump water with the use of electric power. This product is commonly used in cooling down engines as well in commercial applications. It offers good performance to the user. This product comes at fair price in the market. Established in the year 2002, our company “Faiztech Trading” is engaged in the business of offering qualitative products at reasonable prices. With its business offices based at Chennai, Tamil Nadu (India), our company is operating its entire business activities as a Sole proprietorship based firm. We are the prominent wholesaler, supplier trader and exporter for Hydraulic, Pneumatic,Electro-mechanical and Automation products. We work under the reputed brand names Festo, Norgren, Burkert, Parker-Origa, Sick, IFM, Balluff, Dynisco, Finder, Lenze, Sew-Eurodrive, Stober, Vickers and more. We have created rich client base across the nation. Our vendor utilizes optimum quality raw material and contemporary technology for the manufacturing of this range. These products are highly appreciated by our clients owing to their dimensional accuracy, reasonable prices, strength, supreme quality, flawless performance and long functional life. For the convenience of the clients, we have introduced different modes of payments like cash, cheque, DD, etc.